Bernard recently announced the expansion of handle options from six to seven choices for its BTB Semi-Automatic MIG Gun line. Handle options now include the new C Series Straight Handle, which provides all the benefits of the existing T Series Large Straight Handle, plus additional ergonomic benefits such as a handle overmold and rear swivel — at no extra cost. By visiting the BTB MIG Gun Configurator, BernardWelds.com/ConfigureMyGun, users can customize their gun with the C Series Large Straight Handle or other handle options, choosing from three high performance consumables series — Centerfire, TOUGH LOCK or Quik Tip Consumables — and multiple trigger options. Insight Limited triggers are an available option when selecting the new C Series Handle, and are designed specifically for use with power sources from Miller Electric Mfg. Co. that feature Insight Centerpoint welding information management systems. Users can also choose from 20 fixed and rotatable necks in various angles and lengths on any front handle style, and power cables are available in industrial-grade or steel monocoil to meet a variety of user needs. The BTB Semi-Automatic MIG Guns feature a one-year warranty plus lifetime warranties on both the rear strain relief and the front handle. 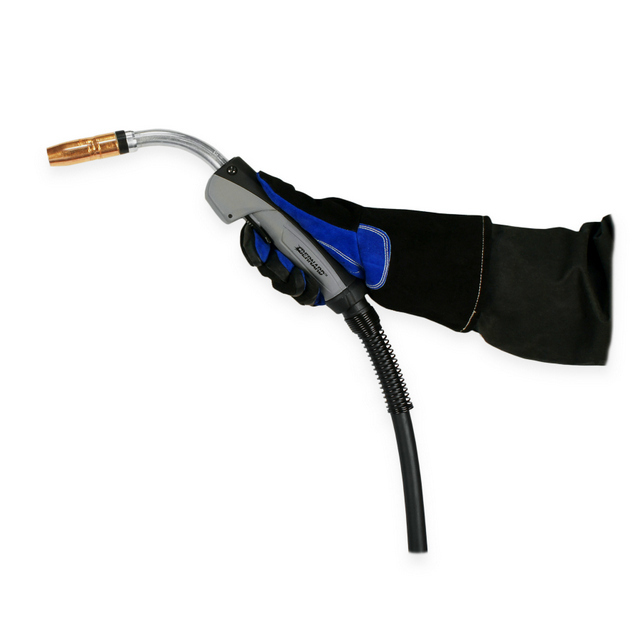 Additionally, BTB Guns equipped with the new C Series Straight Handle or a T Series Large Straight Handle feature the Double-Life MIG Gun System. When the front end of the gun becomes worn from routine use, this system allows users to simply flip the front end of the gun with back end for additional use. For more info on Bernard products, click this link. What else could you possibly be doing?